Rivers are the lifeblood of our communities and our watershed. CUSP is committed to protecting our rivers and streams so we can all enjoy them for generations to come. 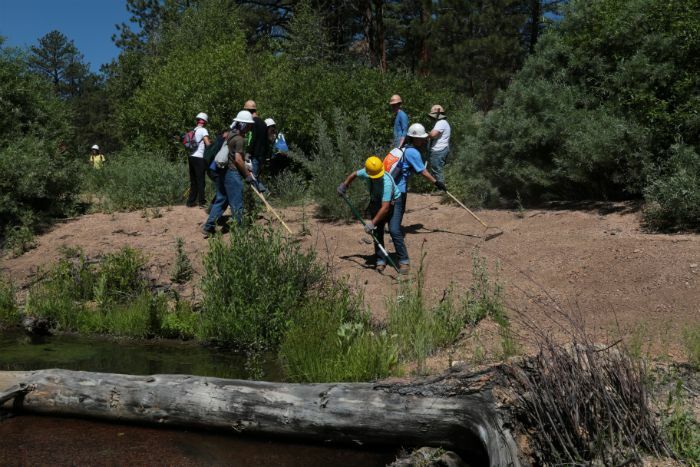 We work with partners from all sectors to restore aquatic habitats, improve water quality, and ensure recreational opportunities abound in and along rivers and streams. 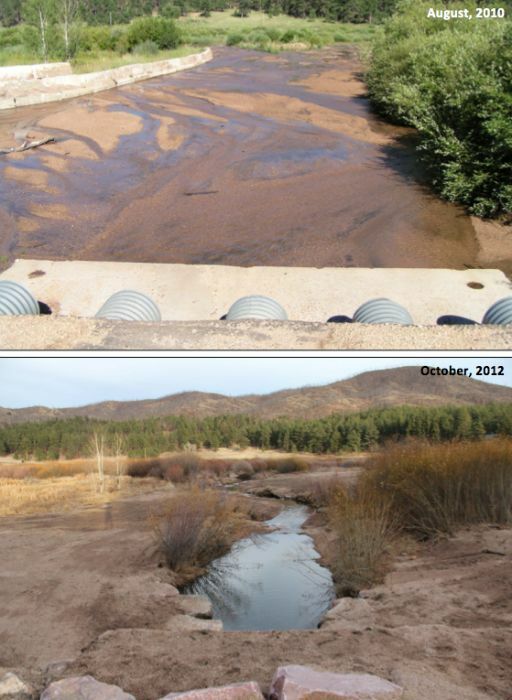 We use techniques that work with nature to restore natural hydrologic processes and provide longterm solutions. 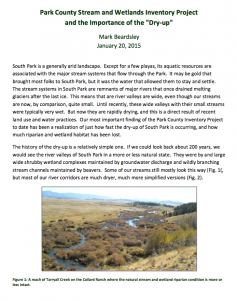 Support stream and river restoration by learning more below, volunteering, and donating today. 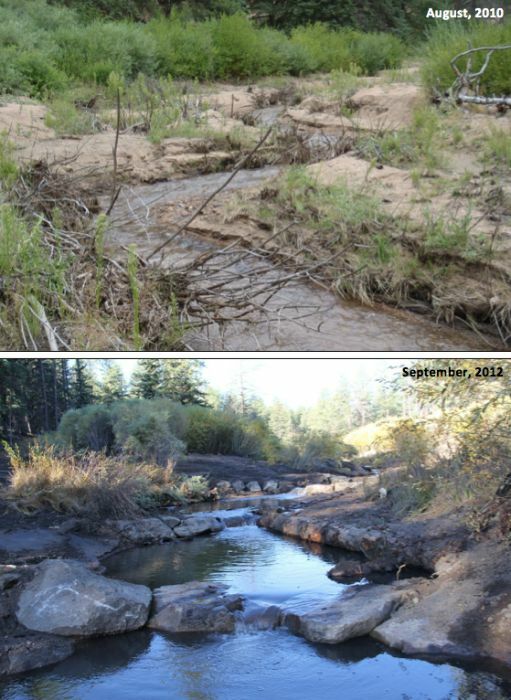 Trail Creek, a South Platte River tributary, was severely impacted by the 2002 Hayman Fire. 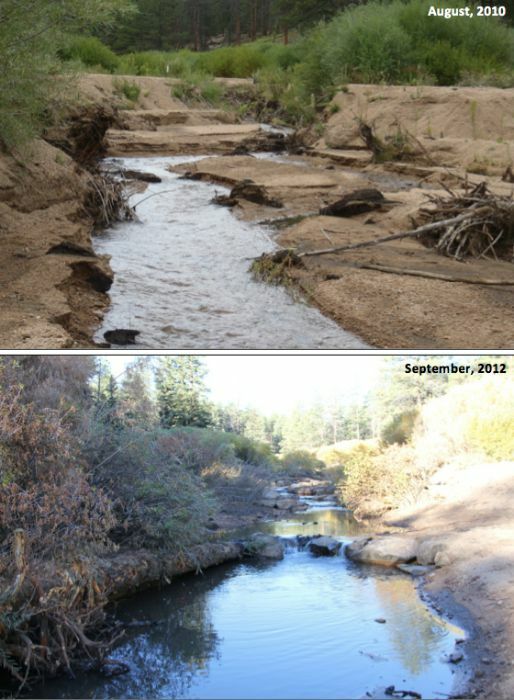 River restoration projects have been critical for addressing erosion and post-fire flooding issues. A sediment detention basin was built above the creek to restore an important floodplain. 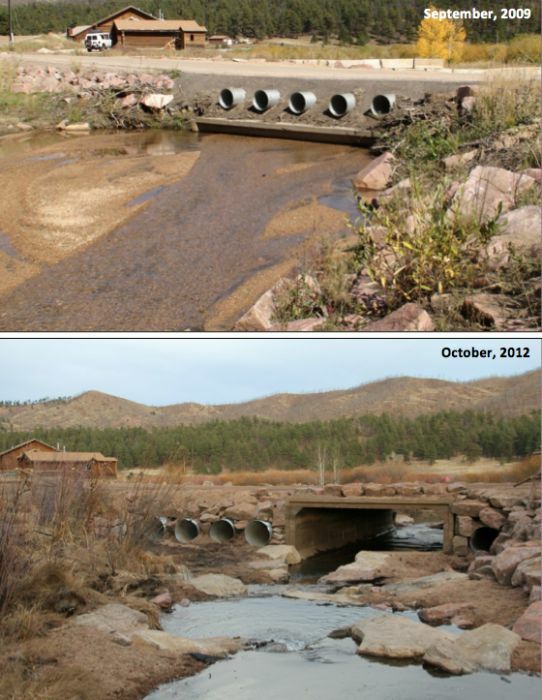 Failing culverts were replaced to help the stream run deeper and prevent road flooding. Rock veins improve flow and reduce sediment movement. 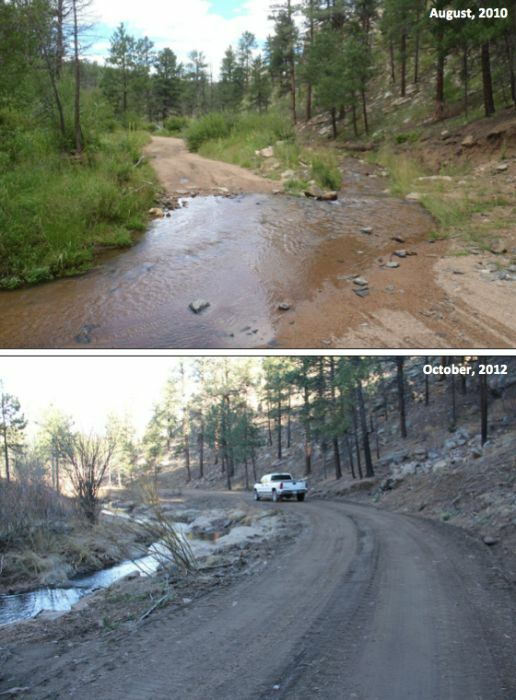 The road no longer crosses the river, reducing erosion and improving water quality. Erosion is reduced with in-stream structures and vegetation along the bank. 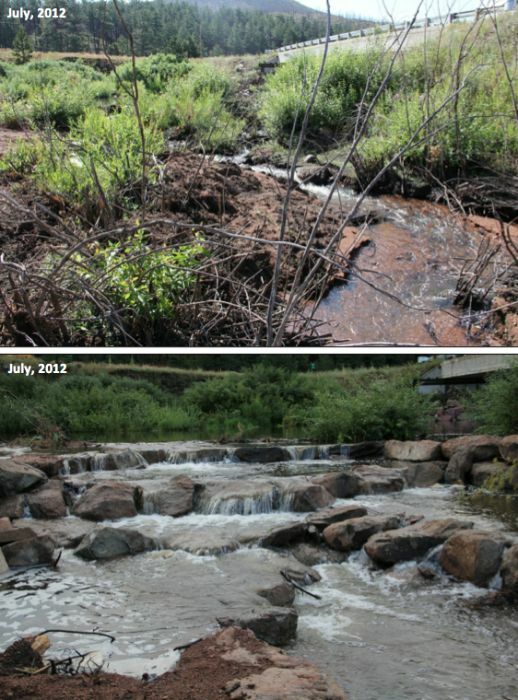 In-stream structures help improve fish habitat. 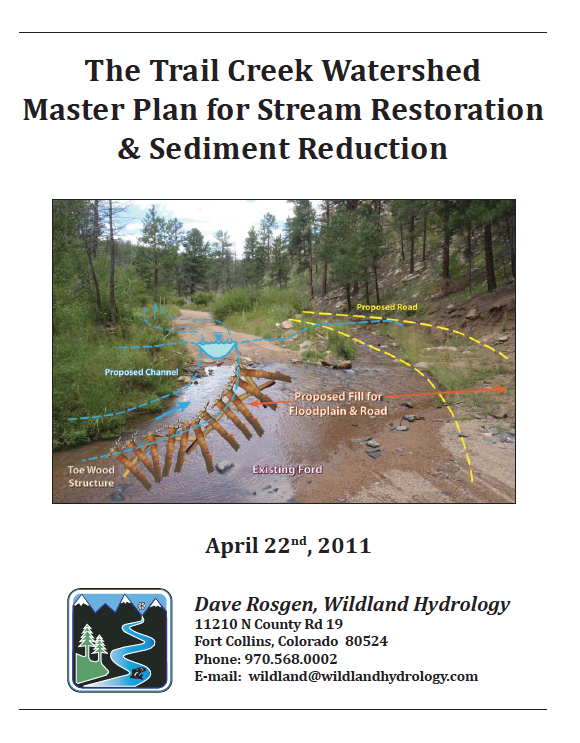 Streambank vegetation improves habitat and reduces erosion. 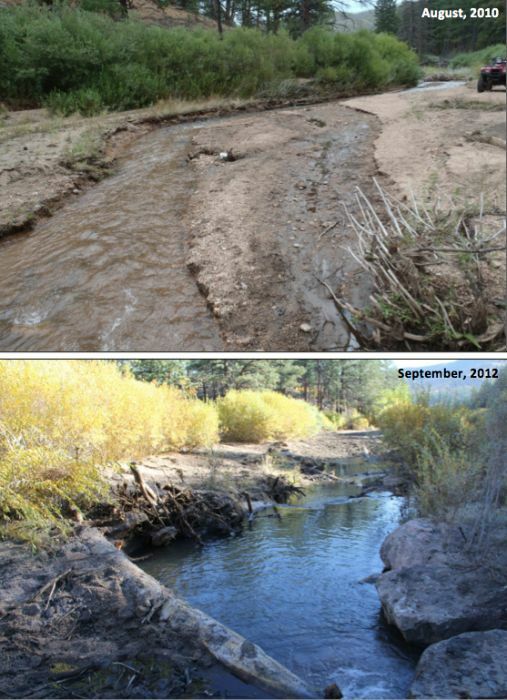 In-stream structures and streambank vegetation improves the way sediment moves through the waterway system. CUSP volunteers rake and seed to re-establish vegetation, which stabilizes streambanks and reduces erosion. 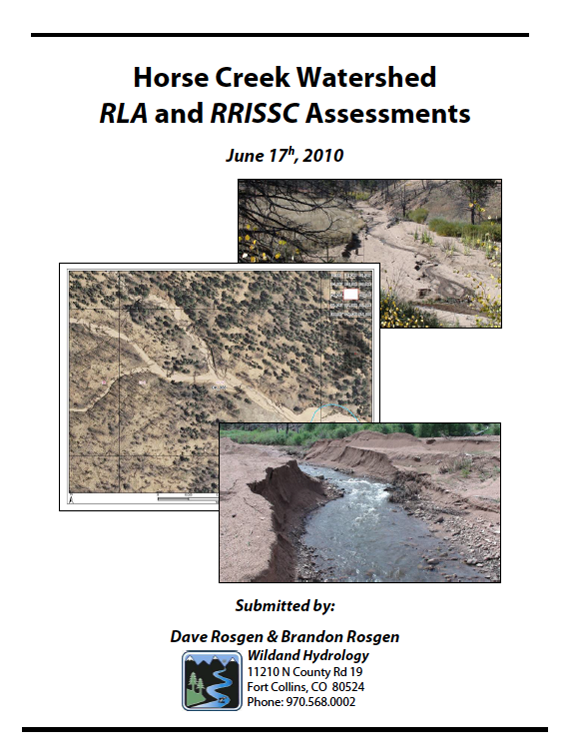 Following the devastating 2002 Hayman Fire, the Horse Creek Watershed, and particularly its sub-watershed Trail Creek, were significantly degraded. 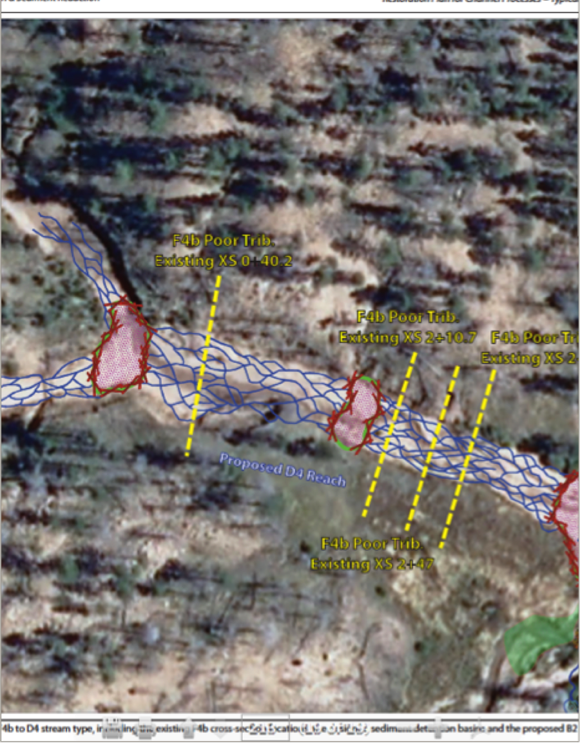 Post-fire impacts in these South Platte River tributaries included detrimental flooding, significant property damage, impaired aquatic habitat, and unsustainable sediment movement. CUSP has been working with a variety of public and private partners to implement holistic restoration on a landscape scale in these watersheds. 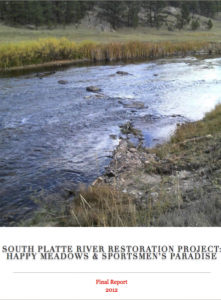 The Happy Meadows and Sportsman’s Paradise stretches of the South Platte River were impaired by excess sediment from upstream sources and the adjacent county road. 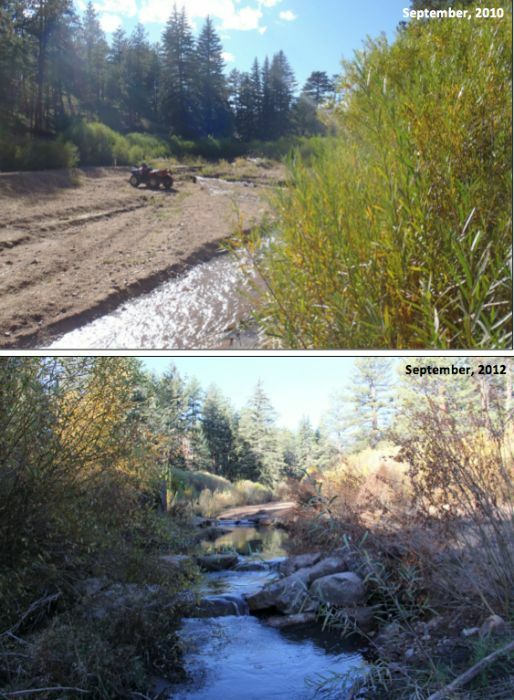 CUSP collaborated with public and private partners to restore this 2.7-mile stretch of the river and demonstrate different techniques to reduce sediment loads, improve sediment transport within the river channel, and restore lost habitat. 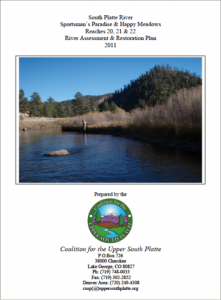 The Park County Water Resources Inventory to assess streams and wetlands in the county began in 2014 as a partnership between Park County, EcoMetrics, and CUSP. The inventory will document the extent of wetland habitat and aquatic resource loss and prioritize areas where there are opportunities for restoration.